Remember that moron, Mike Maulbeck, who dared to threaten Gabe Newell because Steam listed his game as an early access title? It got his game removed from the mammoth online platform. He apologised and resigned following the outburst. Fast forward a few weeks and he is now back at the studio he left, Code Avarice, ready to work on a new title. Why the return though? 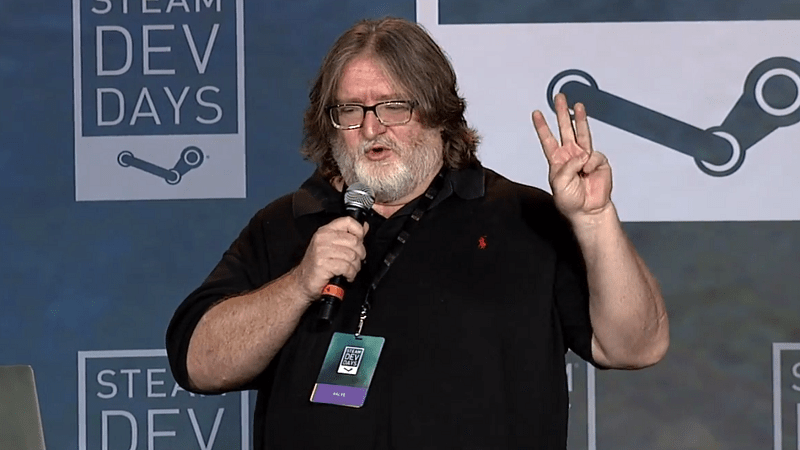 Surely there is no going back after threatening Lord Gaben? A recent blog post on their site sheds light on the matter (via Eurogamer). Mike is back. This is probably not hugely surprising to some of you, but Mike couldn’t commit to his decision to leave Code Avarice. Travis (the other co-founder) publicly denounced his departure, and in the weeks following his official stepping down Mike had second thoughts. Looking for a new source of income was extremely overwhelming and when it finally came time to put pen to paper, Mike and Travis agreed the best thing to do would be to have Mike return to Code Avarice. In retrospect we should have waited until everything was finalized before making the announcement, but Mike was extremely eager to just get out and never look back. He posted the announcement to the site before even talking to Travis about his intentions. I don’t know… to me, and based purely on these past few weeks, Mike seems to be the kind of guy who acts before really thinking things through. Valve got his game listed incorrectly? Better threaten the head honcho himself! Game gets removed from the Steam store? Time to resign and abandon the company! Thankfully, Code Avarice are making some good choices moving forward. Any future updates will have to be written and approved by BOTH the co-founders. Hopefully, Travis will catch any threatening tweets or posts before they go out. I’ve heard some people questioning whether this was some planned publicity stunt. Personally, I don’t think so. Sure, it brought a ton of attention to the studio, but will they be allowed to release any of their future titles onto Steam? I just can’t see a studio being successful on PC without their game being on that platform. Why would they risk such a thing? Regardless, this whole sage hasn’t prevented them from starting their next title. In more exciting news, we’re happy to announce that Spinal Destination is definitely happening! We’re going to release some more info on it soon, but for now you can get excited over the tagline “Left 4 Dead meets Timesplitters meets Painkiller”. We’re really excited to use all we learned making Paranautical Activity to make something even better. It sounds interesting. Will it find success though? Who knows. Would you support this studio after all this drama? Leave your thoughts below. Previous article What can we learn from Evolve’s Alpha stats?